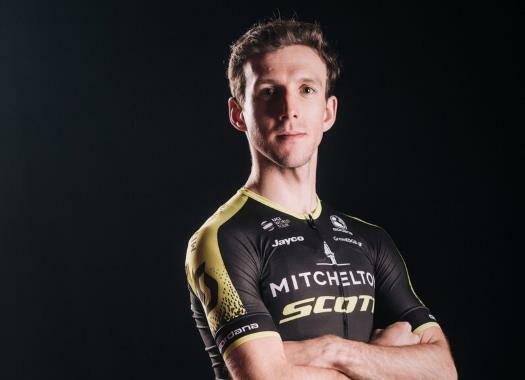 Mitchelton-Scott's Simon Yates has survived another day in the Pink Jersey, finishing safely in the group of favorites at the end of stage 8. After taking the lead of the overall classification at the end of stage 6, the Briton faced his second day in Pink. The stage, from Praia a Mare to Montevergine di Mercogliano, went by without significant trouble for the race leader although the rain resulted in some potentially dangerous circumstances. "It was pretty slippery out there," he told Eurosport minutes after the podium ceremony. "I think we raced smart today and we took the front. We rode in a nice tempo, nothing too fast. No drama at the finish so all good." This stage did not offer opportunities for the general classification riders to shine, but things may well be different on Sunday, according to Yates. "Today the climb wasn't that difficult. It would have been very hard to make a big difference. Tomorrow is a more difficult climb. We'll have to see. If I have the legs I will try. If not, then I won't. We'll see."